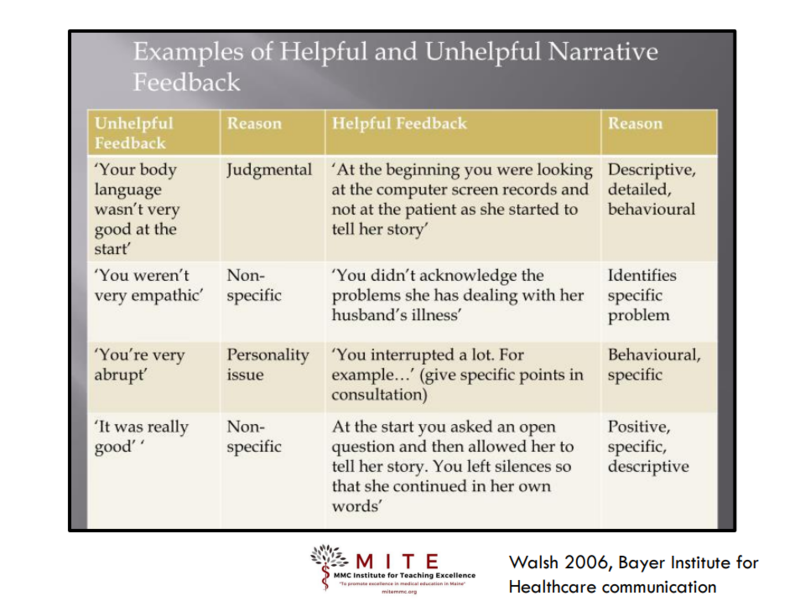 Where do learners really need narrative evaluations? What was done well and should continue? What should be done less or eliminate? Miller GE. The assessment of clinical skills/competence/performance. Acad Med 1990;65:S63-7. Ramani S, Leinster S, AMEE Guide no 34: Teaching in the clinical environment. Medical Teacher, 2008:30(4):347-364.